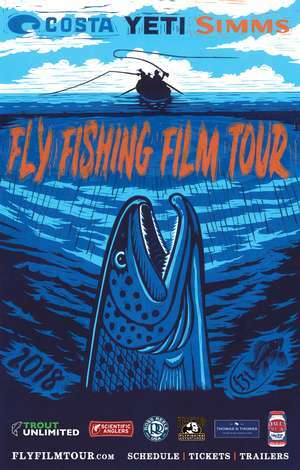 The Mountain Bridge Chapter of Trout Unlimited is proud to bring you the 2018 premiere of the Fly Fishing Film Tour in Greenville, SC at Brewery 85. This 3rd annual fundraiser will benefit the Mountain Bridge Chapter of TU, a volunteer organization delivering on local Projects for Conservation, Youth Education, and Veteran's Services. Doors open at 5pm for the pre-party, and the show starts at 7pm - Tickets will be $12 in advance and $15 at the door.